Family accommodation in 1, 2 & 3 bedroom cottages. Aussie Bush is country lifestyle while Valencia is Mediterranean style. Bali Hai has a tropical island theme. 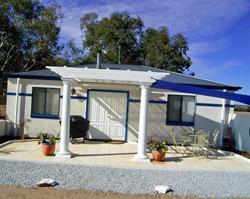 The Lodge has 3 bedrooms and is fully wheel chair accessible. 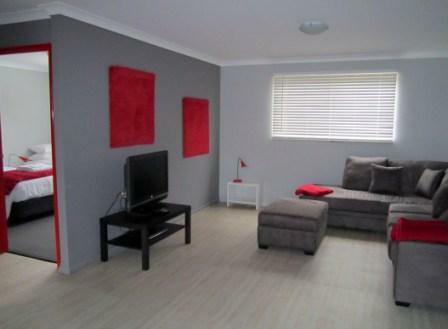 "Kirribilli" is a modern 2 bedroom unit. We now have 2 single bedroom cottages for couples for romantic getaways. Or Enjoy the privacy of our "Red Room" in our spacious farmhouse. Country elegance at its best. We have recently added a new building with even more accommodation. Another 3 bedroom unit and a large 1 bedroom unit have been added to the mix. There is now a Community Room for small functions and in-house events. Lavendale Farm welcomes families, groups and couples. We have 64ha of gently sloping land on the banks of the Avon River 10 mins drive south of York in the beautiful Avon Valley. 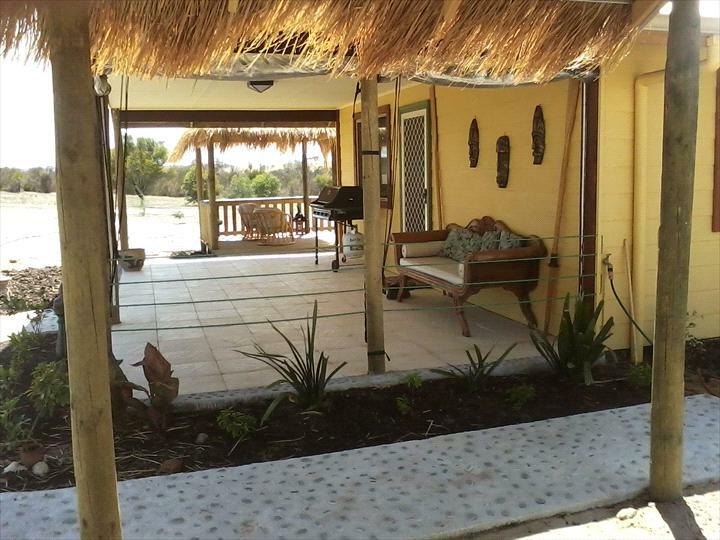 Accommodation is in self contained 1, 2 and 3 bedroom cottages including a fully wheelchair accessible unit. We have a large common room for in-house conferences or group gatherings. Two of our units can be booked together to give a 5 bedroom complex with 2 kitchens, living areas and bathrooms, plus an additional toilet. Each of our cottages has their own outdoor eating area with BBQ. There is also an elegant B&B room in the farmhouse. Each of our cottages has its own theme so they are all different but all have well setup kitchens, large living and dining areas and full bathrooms. We have enclosed wood fires in winter and evaporative air-conditioning in summer. Two units have reverse cycle air-conditioning. TVs with DVD players, books and games are in each cottage. There is plenty to do on the farm. Our stable is home to horses, ponies, alpacas and donkeys. We have sheep, goats, pet pigs, an ostrich and some cattle plus numerous ducks and chooks. The children will love the playground or enjoy our activity room. Guests are invited to help feed the animals in the evening and collect eggs. Enjoy wonderful walks along the river bank or sandalwood plantation, or simply relax and enjoy the peace of the country. With clear skies the star show is wonderful. 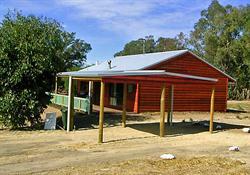 Self contained 2 bedroom cottage with Australiana theme. One room with queen bed. One room with a double and one single bed. Cot and high chair available. Huge lounge, dining kitchen. Bathroom has claw foot bath and separate shower. Veranda with BBQ and outdoor setting. Bush garden setting. Bali Hai is a self contained two bedroom cottage in tropical island theme. Huge 4 poster bed in one room, a double and single in the other. Large bathroom. Lots of indoor and out door living areas with BBQ and water features. Cot and high chair available. Wood fire in winter. Evap air-con in summer. 2 bedroom unit with sleeping for 6 people over 5 or 6 beds. Very modern decor and bathroom. Patio with outdoor setting and BBQ. Even a small sand pit for the children. Full kitchen with all crockery and kitchen needs supplied. Cot and high chair available. 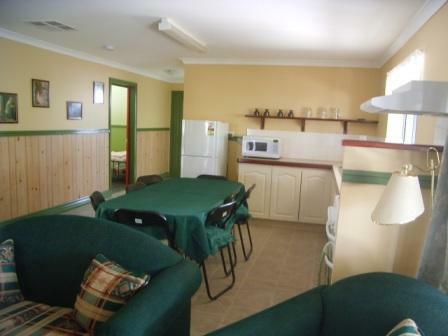 Single bedroom cottages with full kitchen and lounge room. Wood fire, air-conditioning in summer. Queen bedroom with ensuite. Out door area with BBQ. Beautiful views. Suitable for 2 people only. 3 bedroom family unit with fantastic views of the farm. 1 bathroom but 2 toilets. Full kitchen. Split air conditioning for heating and cooling. Veranda with BBQ and outdoor setting. Cot and high chair available. 2 queen beds, 1 double, 1 single and a childs single. Self contained 3 bedroom unit. . Huge patio and bush garden. Drive right up to front door. Fully wheel chair accessible with large wet room bathroom. Cot and high chair available. Additional toilet. 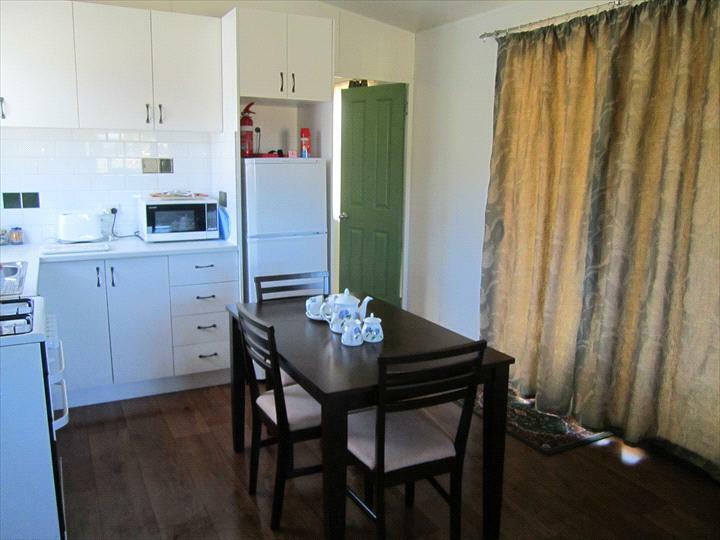 One bedroom unit with large ensuite bathroom and full kitchen and living areas. Views over the farm. Veranda with BBQ and outdoor setting. King bed which can be split plus single bed. Cot and highchair available. B&B Room in the Farmhouse. 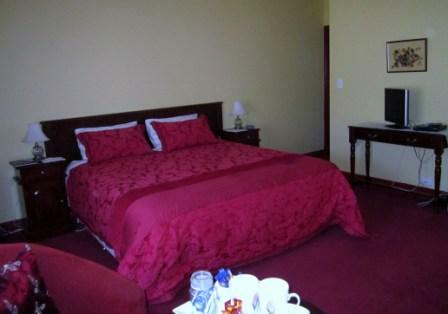 Open Plan bedroom with ensuite and bath, furnished with lounge chairs and TV and DVD Player and small fridge. Tea & coffee facilities. Private entrace. Cot available. Full cooked breakfast provided. Self contained cottage with 2 bedrooms. One room has queen bed. The other has 3 single beds. Cot available. Large living, dining kitchen area. Elegant bathroom with bath and separate shower. Private courtyard with BBQ and outdoor setting. Cancellation less than 3 days before check-in time of your booking day will forfeit the full amount. Cancellation more than 3 days but less that 1 week forfeits the deposit. Cancellation greater than 1 week will enable a refund of the deposit less 10%. For long weekends and groups of more than 2 cottages the notice is trebled. 3 days becomes 9 days 1 week becomes 3 weeks.